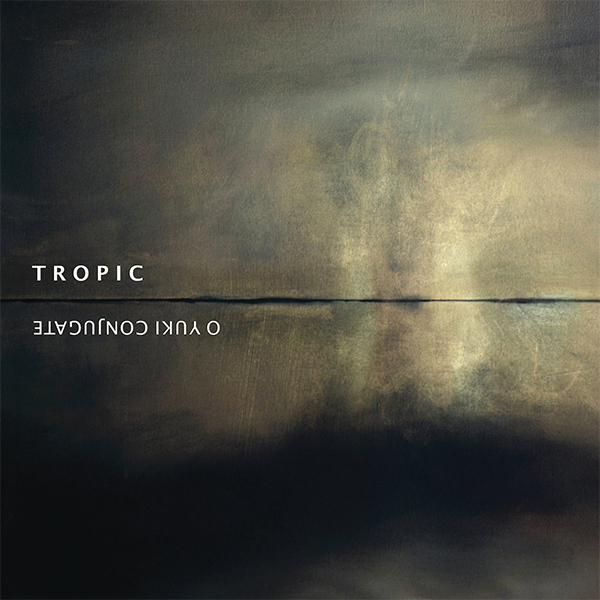 Tropic is presented by O Yuki Conjugate – a post-industrial/ambient group founded in Nottingham in 1982 – a collection of forgotten tracks, partially unreleased and incomplete, recorded in London during the period 1994-95. The processing and post-rationalising of these contents was only made by Andrew Hulme and Roger Horberry, actual effective members of combo, who are back in business after many variations through the line-up. Finally – within two years 2015-16 – they have been updating these contents, working especially on the most atmospheric and ambient plots. Since the beginning the group has always operated a seminal mixture between electronic and classical tools, following an approach which, even though full of post-punk spirit, always declined toward more kind and environmental treatments, intentionally unclear, partly “synthetic” and partly “organic”. It’s been years in which few really showed interest in such experimentation: today, instead, the whole range of proposal dedicated to soundscapes is constantly growing and Till Kniola’s Auf Abwegen worked particularly well, wanting this release and promoting a tour that brought the project again onto the stages of some of the major European cities (London, Munich, Dusseldorf, Amsterdam, Nijmegen and Antwerp). “The Fate of Less Valuable Animals”, a long suite of 24′ and 37″, immediately convinces us of the consistency of the inspiration, maintained suspended, dreamlike, gloomily seesawing, nearly to underline a state of discomfort in retracing particular trajectories. It couldn’t have been easy to come back to these exact organic shadinesses, too quiet atmospheres and resonances that were forgotten. For example, recordings of tropical rains to which were added delicate percussive elements, gong, synth and other micro-emergencies auditory. Even “Darkness Was Here Yesterday” – that has approximately the same duration as the previous track – is likewise mysterious, unstable, catted through iterated bells, but it is even richer in variations, with very trembling elements and very long pauses, almost silent. So, the release is very suggestive and also the ethnic connotations – never too insistent though consistent – are well placed for a listening free of particularly conceptual elaborations.